If you’re like me, now that summer is here, you’re ready to bring your bod out of hiding from all those months of being bundled up from winter and spring. I’ve been pulling out my cute summer clothes, but one thing is super obvious – I need some color on my pale, pale skin! I’ve used some of the store-bought self tanners in the past with varying results, but I keep hearing about these homemade tanners you can make from natural ingredients that look authentic and are completely non-toxic. So I did some research and found some ingredients are definitely better than others for a truly natural-looking tan. Read on for my favorite tried and true recipe that you can make right in your kitchen! What Is A Homemade Self Tanner Recipe? Why A Natural Self Tanner? Is A DIY Self Tanner Right For You? Since tanning became popular around the 1920s, just about everyone wanted a golden tanned body. In the days before sunscreen and the knowledge of skin cancer, people would lay on the beach or by the pool for hours soaking in the sun. Many even apply baby oil to enhance the speed of the tan and the color. Today, we are all aware of the dangers of the sun’s harmful UV rays and the possibility of skin cancer. Some may have turned to using tanning products, tanning salons now offer the spray on tan booth and the tanning beds are slowly becoming extinct. 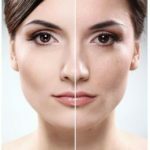 A homemade self tanner recipe is a mixture of ingredients, commonly found in your refrigerator or pantry, that when mixed and applied gives your skin a healthy tanned look. A nice feature about a DIY self tanner is that it is done in the privacy of your own home, nowhere to drive and at a fraction of the cost of a tanning salon. The fortunate part is that it is much safer than sunning or tanning beds, but the unfortunate part is that it is temporary, like all the other self tanning products. But a homemade self tanner recipe will allow you to stay tanned and not have to bother making appointments, drive to the appointment and pay for a tan each time. Which brings me to the other reason for making your own tanner – avoiding the harsh chemicals in the store-bought versions. The presence of DHA may give some people a skin reaction if they are sensitive. DHA was invented decades ago and was given in a pill, called the Man Tan, this causes the skin’s pigmentation to react and result in a tan. All the self tanning products on the shelves today have DHA in them, and this is what gives them that strange smell. There are several reasons why a DIY self tanner is better. It does not contain chemicals like DHA to react on the skin and possibly cause a reaction. You can make a tanner that is all natural and saves money from going to the tanning salon every few weeks. And now for my step-by-step guide to creating the perfect tan, right at home…. If you have ever gone to a tanning salon, you will know that they tell you to exfoliate well before your appointment. This is to help your tan last longer and maintain a healthy looking glow. Exfoliating has many other benefits as well, stirring up the circulation, ridding the body of dead skin cells and giving the skin a healthy youthful glow. By removing the dead skin cells your fake tan can better adhere to the skin and the skin be softer and smoother. My favorite tool for a really good exfoliation is Microderm MD. This is an at home microdermabrasion machine that not only exfoliates but reduces wrinkles, improves dark spots and discoloration, smooths out skin texture, and even tightens your skin. 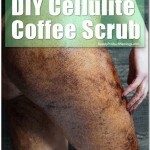 If you’d rather stick with DIY exfoliation, you can try using coffee, a loofah, a bath brush or with a paste of coffee and essential oils, which will also fight off cellulite. For exfoliating your face use a stiff wash cloth, a soft loofah a soft scrubbing brush or a paste of baking soda. The recipe that has given me the best results is also the simplest one. What’s my key ingredient? Most of the tanner recipes I found on the internet were all about using cocoa powder as the “tanning” ingredient, but my results were not good. In fact, it was a bit of a disaster. I applied and let it dry for a good 10 minutes, but the color just wiped right off of my skin with the brush of a finger. It also got all over my clothes – what a mess! I’ve also seen people recommend pureed carrot as the “coloring” ingredient, but that turns out looking way too orange. Nope. Black tea is the best ingredient I’ve found to really give you that gorgeous, natural looking glow. It’s actually a pretty classic beauty trick that dates back to the 1920s, when women used to soak in a tub of tea to get that rich tanned look! Bring the water to a boil in a small sauce pan. Add the tea bags and then move the pan off of the heat. Let the tea steep overnight. The next morning, pour the liquid into a spray bottle. On clean, exfoliated skin, spray the tanner evenly over one area at a time, lightly rubbing in the tanner for even coverage. Allow to completely dry (I usually wait 10 minutes) before dressing so you don’t stain your clothes. Your beautiful new color should last a couple of days, but may fade quicker if you’re very active or take lots of showers. Weighing in on the idea of making your own natural self tanner may sound like too much trouble and time in your busy schedule. But if a natural alternative to salon tanning or exposure to the UV rays to get a nice tan sound worth it then you may want to try it. Honestly, this black tea tanner is so easy and looks so great, I’m never using store-bought tanners again. I like the fact that it’s healthier for my skin to use natural ingredients instead of the processed and preservative ridden self tanning products on the shelves these days. I’d love to hear your self-tanner tips in the Comments below – give me shout!